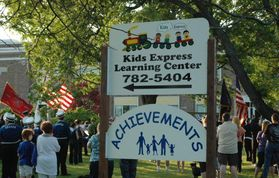 At Achievements and Kids Express we offer a variety of programs, to meet every child's individual needs. We offer Toddler Groups, Self Contained Classrooms, Integrated Preschools, State Approved Kindergarten Programs, School Aged Services, as well as Home and Community Based Services. For certain services, Achievements accepts BlueShield and CDPHP Health Insurance. Contact us for more information.